It is good and vital to have a quiet time, a devotional time when you can be alone with God and worship Him. 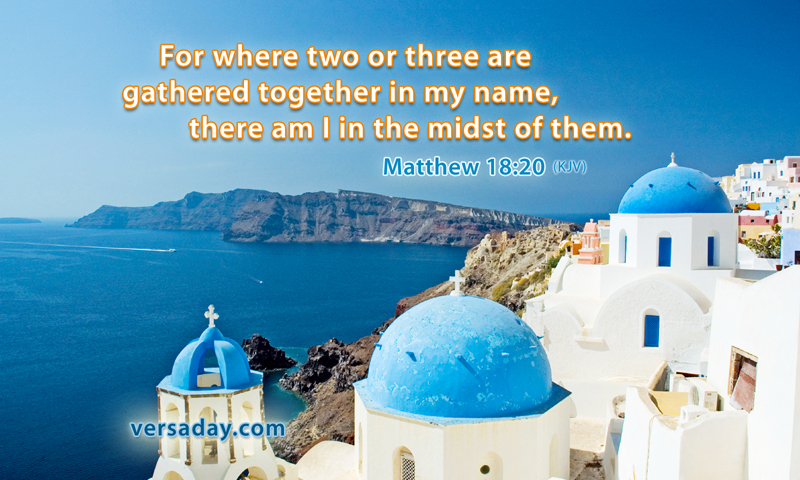 But we are urged to “not forsake the assembling of ourselves together, as the manner of some is.” Hebrews 10:25. When a small group, even two or three people are gathered together in the name of the Lord, He is there in a special way, and if our hearts are right before Him, we will have a period of special blessing and come away saying, “It is good to be in the presence of the Lord.” The unsaved and worldly congregate in concerts, riots, gangs and other associations to fellowship and further their common purposes and interests, and the TRUE Christians should have regular worship and fellowship in the presence of the Lord.